This past weekend I took inventory of my goals this year and realized I wasn't even close to meeting them. Worse than that, I would wrap up the year with a new UFO!! That just could not be tolerated, so I decided to revisit my Bread and Butter quilt. Remember how frustrated I was back in March when this baby got the best of me? Go here for a recap. I decided to pull off that last border which was so off I could not look at it any more. I was much more calm and after taking pictures of a few my recent successes, I was bayoued by the boost to my self esteem and slowly attached the border again. It was still off on one corner but it was sooo much better than before. There is nothing to be done with the wavy blocks but I'm hoping that Margaret at Mainely Quilts of Love can perform a miracle so that it's not too obvious after quilting. 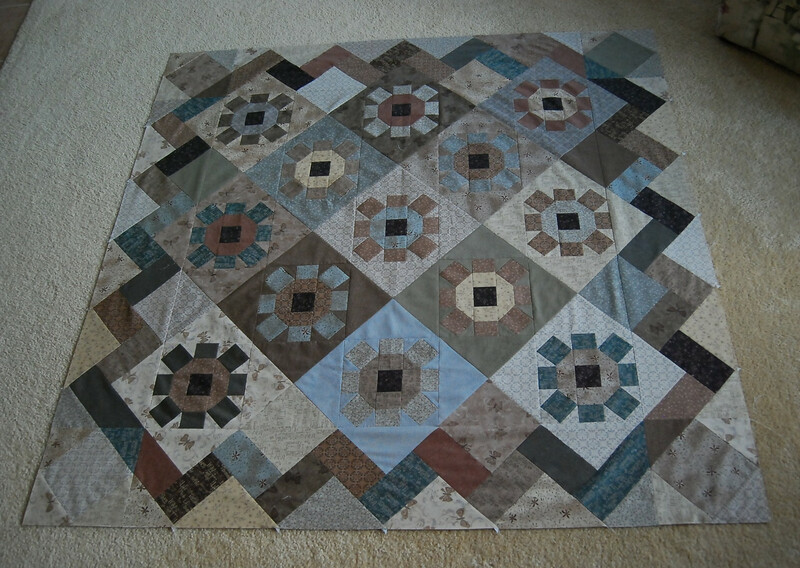 By sending this one off I make sure that I will not end the year with any unfinished quilts. 2 comments on "Revisiting the old to avoid UFOs"
Oh Sanday I TOTALLY LOVE, LOVE, LOVE your quilt. I sure hope you hate it and send it to me when it comes back from the quilters. LOL!! Actually it looks so much better now that you have redone it. 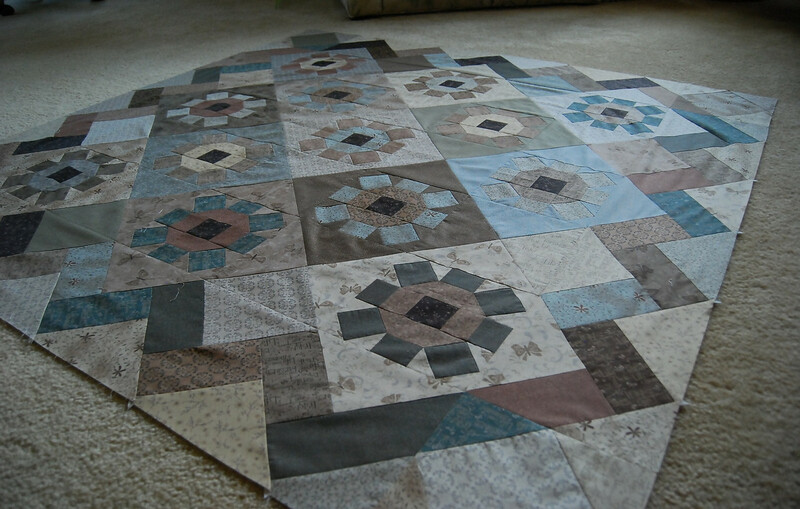 I think I learned a lesson from you, to put a quilt away for and while and then rework it later. It is so lovely. I'm proud of you for finishing it. Good Job. Now, I love this quilt too. I have to read back and see if I can get more info about it. Like what fabric did you use and what pattern is it? It turned out just lovely.